A sister of Benjamin and Levie Levie (see elsewhere on the website)  Eva (born in Ruinen on the 8th of September 1884)  got married on the 28th of August 1912 in Ruinen to Simon Cohen (born in Wildervank on the 8th of May 1889). Simon was one of two children from Andries Mannes Cohen and Sara Cohen both from Wildervank. 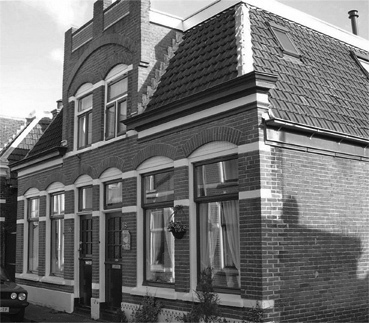 Eva and her family lived in Meppel on the Voorstraat number 20. Simon was just like his brothers in-law a merchant in textiles. He was trading from his house in all kinds of hats and caps. They had three children, two sons  Max (born in Wildervank on the 25th of November 1917), and Andries, who was born in Meppel in 1926  and daughter Sara born in Wildervank on the 25th November 1913. Max went to school in Meppel, and in 1940 he went to Amsterdam. He was a fierce footballer as one of the few Jewish players for Alcides football club. He was keeper for the 5th team of the club. Andries was still at school at the beginning of the Second World War. In September 1939 he went to the Rijks-HBS: he started in class 1a. After a year, he too had go to the Jewish school in Zwolle. 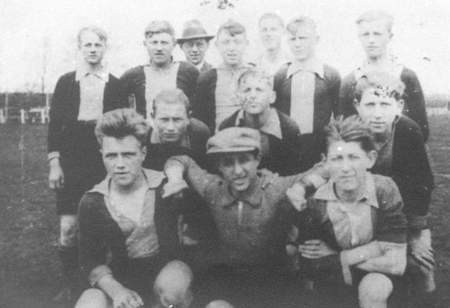 Max Cohen (on the picture with a cap) was keeper in the Alcides football club. Sara was a sales-assistant at the gold and silver shop belonging to Van Esso on the 1st Hoofdstraat. 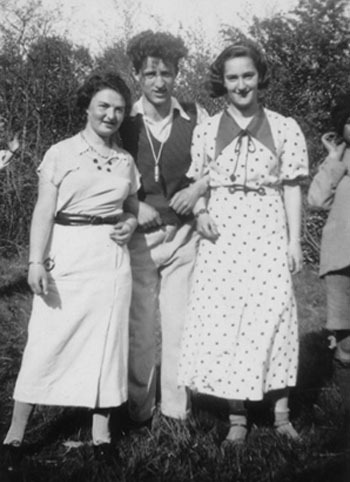 She married during the War  on the 15th of April 1942  to the sales representative Leon Hyman de Vries, inhabitant of Leeuwarden and moved into the house of her parents. The Germans also kept an eye on all the activities of Dutch Jews, so it seems from a letter of the Rijksinspectie van de Bevolkingsregisters (State Inspector for the Population Registrar) to the council of Meppel among other matters, the following point: ‘[…] in connection to the above notice [regulation 6/1941, TR] there are no changes received regarding the civil status of the spouse: Cohen, Sara’. What happened? When Sara Cohen was married, the State Inspection in Den Haag (The Hague) had not received notification of this. The administrators in Meppel again responded immediately. A day after receiving the letter, a duplicate of the wedding act was sent to the State Inspection. Simon Cohen was transported end July 1942 to the labour camp in Orvelte. Not much later  17 august  Leon Hyman De Vries followed to the ‘Jongerenkamp’ (youth camp) in Linde. On the 3rd of October Sara and her mother Eva were taken from their beds and the following morning they were brought by train to Westerbork. In the mean time Germans already killed Max Cohen. He died on the 30th of September 1942 in Auschwitz. In camp Westerbork Simon and Leon saw their wives back. Simon and Eva were deported two days later to Auschwitz; they died on the 8th of October 1942. About young Andries there is not much known, only that he died on the 31st of March 1944 somewhere in Middle of Europe. A young man barely 16 years, al alone; what must he have experienced! Leon and Sara stayed a while in Westerbork. Leon was there member of the Order Service. On the 6th of May 1943 Sara had a baby in a hospital in Groningen: Hijman. After (when-unknown) the three of them were transported to Auschwitz. Sara and her son died there on 8th October 1944. Leon Hijman was put to work in Auschwitz or another sateliet camp. He died on the 2nd of May 1945 during the death march somewhere in Germany. The house of the Cohen family on the Voorstraat.